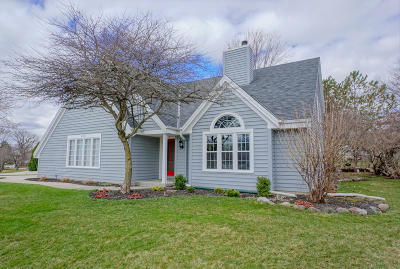 Beautifully updated home in a convenient Waukesha neighborhood! Spacious interior is full of great design features. Vaulted great room has large windows and corner fireplace shared with dining room. Kitchen offers breakfast bar, granite countertops, and SS appliances included. French doors to main floor den. Nice size upper level bedrooms. Master suite has a beautifully renovated master bath with oversized tile shower. Option for 4th bedroom or large bonus room. Lower level is nicely finished with a rec room and additional den. Plenty of storage space. Private back yard patio overlooks back yard flanked by mature landscaping. A long list of recent years updates including the roof, furnace, A/C, garage door, paint, and much more!